The Arctic is on many bucket lists thanks to polar bears and Northern Lights. But what else may travelers anticipate on a cruise in the Arctic Circle? 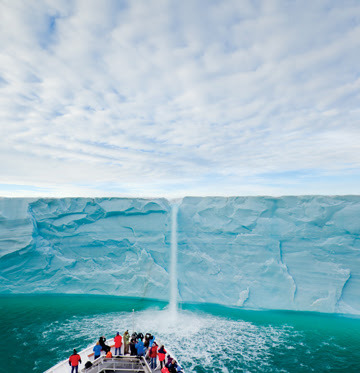 And what questions should they ask when booking a cruise on the Arctic Ocean, the world’s smallest and shallowest ocean that is fringed by eight countries? Todd Smith, small ship cruise expert and founder of AdventureSmith Explorations, (http://www.adventuresmithexplorations.com/) discusses the variables of itineraries and small ships plying this region, home to four million people living in the shadow of Viking conquests and explorers. 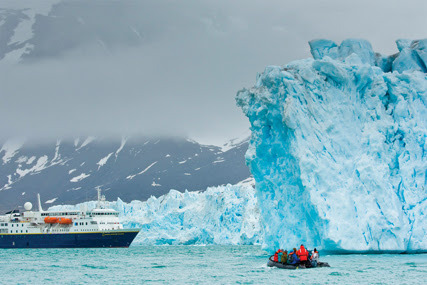 His sage advice, “How to Choose Your Arctic Cruise”, shares what he calls “an incredible range of conditions” in the May through September Arctic summer. These conditions help to determine itineraries and therefore passenger experiences. 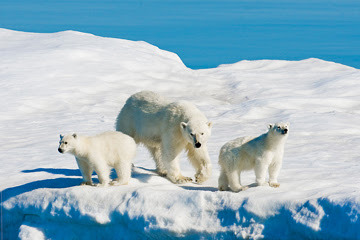 For example, early season (late May through early July) polar bears on ice floes are prevalent. In July and August ice is more disbursed, allowing land access and explorations of nutrient-rich waters favored by whales. September nights bring the magnificent aurora borealis. The experiences guests seek may also determine the ship they choose. AdventureSmith Explorations' fleet of expedition ships cruising to the Arctic carry 78 to 148 guests and are specially outfitted to travel in polar waters. They are all fairly similar in terms of ice class and amenities. For more intimate explorations, this company also recommends a fleet of vessels carrying just 16 to 20 guests that offer the same close-up exploration as larger expedition ships but also provide access to shallow harbors and small islands. The length of a cruise and the price also come into play, said Smith. Following is a handful of specials for 2016 Arctic cruises. For information on all of AdventureSmith’s small ship cruises, itineraries, availability and 2016-2017 reservations, Phone: 800-728-2875 toll-free or visit http://www.adventuresmithexplorations.com/.